"A patient and caring doctor. Very happy to have found her." "Dr. Hoang has been my children's pediatrician since they were both born." 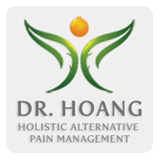 "Love Dr. Hoang! I love how she prescribes both western and holistic treatments."